At the State University of New York Student Assembly Conference on April 5, the SUNY announced the creation of a new award honoring the distinguished career of SUNY Board of Trustees Chairman H. Carl McCall. 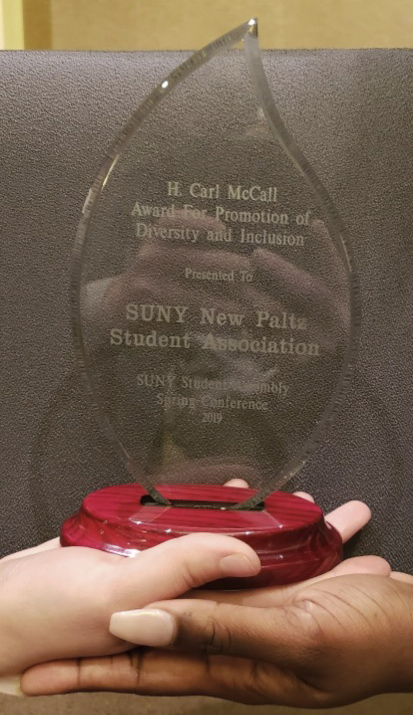 The SUNY Student Assembly presented the first annual H. Carl McCall Award for Promotion of Diversity, Equity & Inclusion to the SUNY New Paltz Student Association, in recognition of students’ contributions to the building name dialogue that led to the March 2019 approval of the name changes. “The New Paltz student government was confronted with a reality that students of color felt uncomfortable and unwelcome on their campus,” said Michael Braun, president of the SUNY Student Assembly. “They sprang into action and kick-started a campaign to get the building names changed. After more than a year of intense student advocacy, the SUNY Board of Trustees approved changes to the names of each of these buildings, whose names will now reflect the Native American heritage of the region. 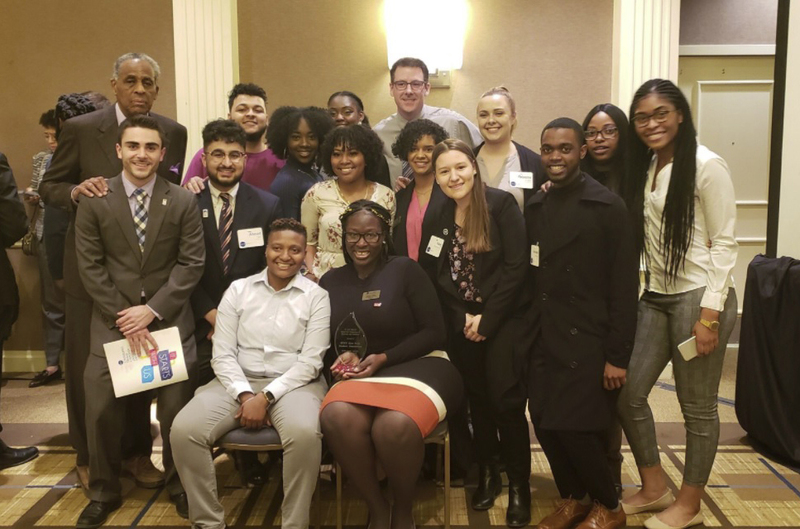 The award dedication and presentation took place as part of the SUNY Student Assembly Spring Conference, convened this year from April 5-7 in Saratoga Springs, New York. Distinguished guests this year included SUNY Chancellor Kristina M. Johnson and New York State Attorney General Letitia James. It was Chairman McCall, a former New York State Comptroller and State Senator, who received special honors as the namesake of the new diversity, equity and inclusion award. Learn more online about the SUNY New Paltz Student Association and the SUNY Student Assembly.